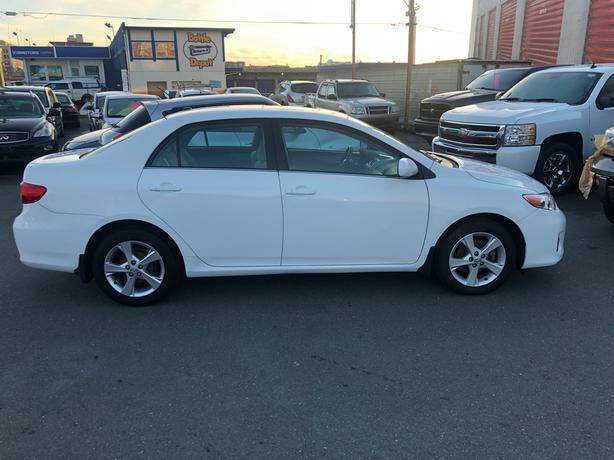 Come check out this 2013 Toyota Corolla just in! 4 Door door automatic with low KMs! Sunroof and lots of other options on this LE model! Come down today and check out this great car! Call Sunny 250-858-4239 or Jim 250-661-0097 anytime! WE FINANCE ALL LEVELS OF CREDIT! WE GET APPROVALS! Come visit us today for financing options! Bad credit? No credit? We have options for you! Bring in your vehicle for a free appraisal! Save taxes by trading in your car or truck to us! 3 MONTH POWERTRAIN WARRANTY WITH ALL VEHICLES! Drive away with piece of mind at no extra cost! Tuesday to Saturday 10am to 6pm. All sales subject to $395 documentation fee.